The Darrell’s Special piles high the holy trinity of sandwich meats — turkey, ham and roast beef — and blankets the base with a trifecta of provolone, Swiss and American cheeses. As those slices turn to goo and become one with the meat, copious amounts of debris gravy join the party, as does a healthy sheen of jalapeño mayo. Top it all with some lettuce. Oh, and don’t forget to add legend to that. Lots of legend. The Darrell’s Special is a folk hero in Southwest Louisiana. General Manager Tyler Benoit knows better than anyone that calling it a sandwich is the equivalent of calling the Grand Canyon a hole in the ground, like calling Jeff Bezos of Amazon.com a merchant — technically accurate but lacking in scope. 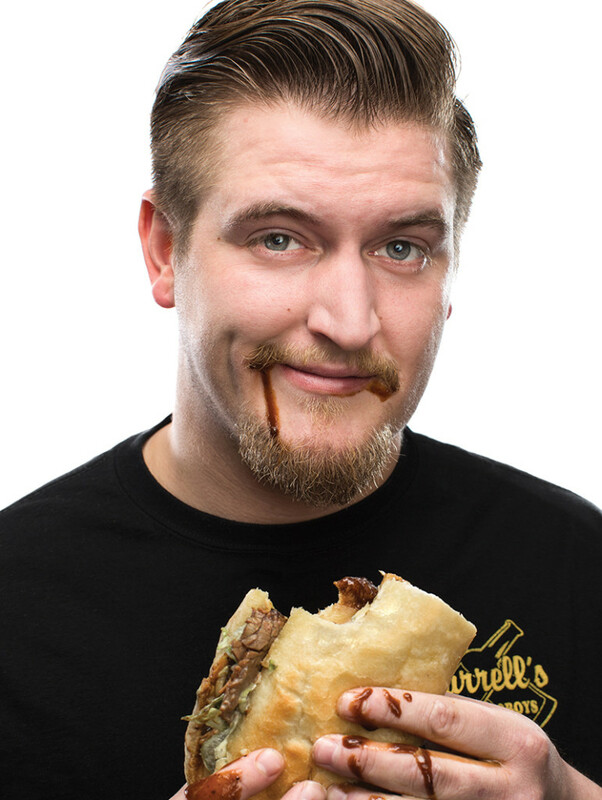 Over its three-decade existence, the Darrell’s Special has transformed from meal to myth, a regional rite of passage on a poor boy roll for those in town, and a must-stop for foodies from far-away places. Go on any online food review app, and there’s a flock of Darrell’s Special disciples paying homage via photograph. Multiple angles. Multiple photo filters. A gluttonous Glamour Shots session for a sandwich, coupled with plenty of pictures of gravy and mayo-covered happy fingertips after that first memorable bite. “It’s hard to explain the attachment people have to it,” Benoit says. “It might be that it’s what they remember. So it brings back memories of when they ate it before. And the place does the same thing. Yeah, we’ve remodeled, but you know, we still have the deer heads on the walls, so the feel is the same. And, the sandwich feels the same, looks the same, and it tastes the same. When it comes to fully examining the phenomenon of the Darrell’s Special, retelling the story of “then” helps to explain the sandwich’s exalted status “now.” In 1985, Tyler’s grandparents Darrell and Susie DeRouen opened a modest bar on High Street to little fanfare. They didn’t advertise. Didn’t settle on a theme or gimmick. To be honest, the original place felt, looked and even smelled more like a VFW than an operational bar. “They pretty much bought it so they and their friends had a place to drink and play cards,” Benoit says. Notice Benoit didn’t say “eat.” That’s because in its infancy, Darrell’s didn’t serve food. But that all changed when Susie’s hospitality lead to innovation. “On busier days, like Super Bowl and Mardi Gras, my grandma started making sandwiches — just to be nice, really — and people were like, ‘Oh, you got to sell these!’” Benoit says. “But if my grandma was going to sell sandwiches, they had to be good. So she’d make a bunch and say, ‘Taste this. Taste this. Taste this one.’ She was perfecting the recipes. It was a process. By “we” Benoit means not only his family, but also hundreds of hungry patrons daily and occasionally more than 1,000 during busy periods like when the travel baseball season is in full swing during the late spring and early summer. Recently, Benoit waited on a businessman from Michigan whose boss told him he had to stop here while in town. Benoit asked the guy where his boss was from. Michigan, the businessman said. A bit puzzled, Benoit just brought the order to the kitchen staff instead of inquiring further on how a guy from a different time zone and different climate heard about Darrell’s. The Special’s popularity has caused the staff to more than double from the time Benoit started working in the kitchen at age 16. Other than that, though, Darrell’s is a bit of a culinary time capsule. The walls are wood-paneled like your grandfather’s den. Sandwiches are served in baskets for those staying or paper for those leaving. The tabletops are cluttered with advertisements for eaters in the market for lumber and building supplies. Heck, Susie is still the owner, and from time to time will stop in and help in the kitchen. More than once, when the tickets for Specials are piling up, she’s turned to her grandson and commented that she can’t believe that her sandwich — an afterthought, really — has a cult following. “It’s an original,” Benoit says. “I have them — not every day — but there are people that come in and have one every day. The same thing. The same sandwich. Over and over. I think it’s awesome. This sandwich couples Darrell’s signature roast beef slathered in gravy with shrimp. What sets it apart from other sandwiches on the menu though is the homemade butter sauce applied to the bread instead of jalapeño mayo. “You’d be surprised, because there’s not a big gap between the Special and the Surf and Turf in the number of sandwiches we sell,” Benoit says. This is Tyler’s favorite sandwich. Twice a week, Darrell’s smokes hunks of beef brisket on site for 8 to 12 hours depending on size. While that’s slow-cooking, the staff also prepares a made-from-scratch BBQ sauce that’s applied generously to the sandwich. Shrimp po’boys are nothing new in South Louisiana, but Darrell’s version is a bit of a break from the norm. Instead of frying its shrimp, Darrell’s sautés them in a spicy Cajun sauce. The end result is a sandwich that’s full on flavor, yet not as heavy as its battered brethren.